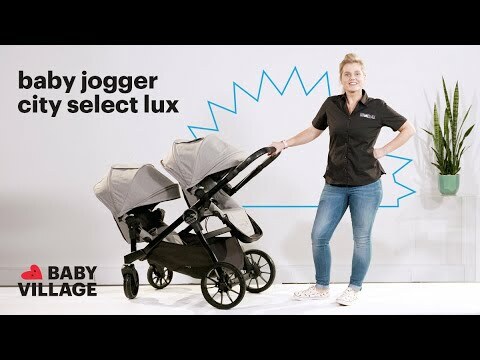 The Baby Jogger City Select LUX convertible stroller goes from a single to double, so your growing family is always ready for any adventure. It has the most riding options of any single to double stroller, with over 20 configurations. That's over 25% more than City Select! Add the bench seat (optional extra) so your older child can hop a ride or, add an infant car seat with an adaptor. The folded stroller is also 30% smaller and automatically locks, so it's even easier to carry. With over 16 configurations, the possibilities are endless: Front facing, parent facing, sibling facing: whatever you need. You can also add a a Glider Board for even a triple.